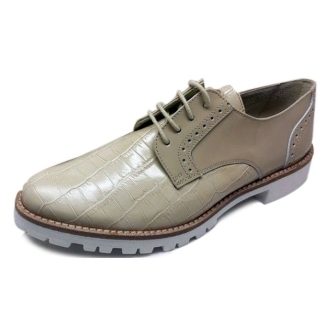 British manufacturing type shoes.Done all in leather.English Derby model.Sizes from 35 to 41.Possibility of combining colors et threads.Young quality footwear.Made in Spain. Menorquinas sandals.Made of high quality leather and fabrics.This model wears a trim fringes on the instep part.Available sizes from 35 to 42.Rubber sole (tr).The skin plant of vegetable tanning.Softness and comfort for the feet. Model covers Menorcan type with esparto sole.This model can go behind with a strap for greater ankle support.Height4 cm.High quality esparto and vulcanized rubber outsole.Sizes from 35 to 41.Many possible combinations of colors and skins.All made in Spain. 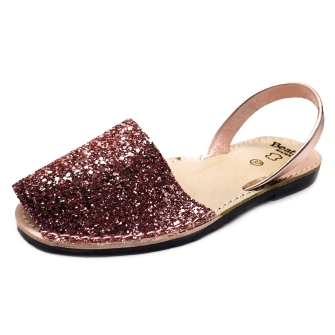 Clogs platformsPlatform sandal throws esparto.Several models of straps with buckles.Metallic skins and fantasies.The quilted leather insole.Sizes from 35 to 41. 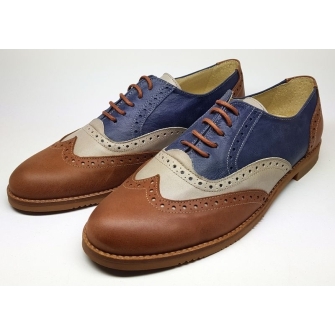 The Brogue (derived from the Gaelic bróg (Irish), bròg (Scottish) "shoe") is a style of low-heeled shoe or boot traditionally characterised by multiple-piece, sturdy leather uppers with decorative perforations (or "broguing") and serration alng the pieces' visible edges. We ship orders worldwide : we have customers on five continents . Leather shoes made ​​in Spain: Menorca´s style sandals, Dessert Boots, Ballerina type shoes. Wide variety of colors and styles.